Thinking of a Six Figure Salary in IT? Think Devops. Home » IT & Tech Blogs » Information Technology » Business » Thinking of a Six Figure Salary in IT? Think Devops. Devops (development and operations) is defined as a phrase related to enterprise software development and is used to specify a kind of agile relationship between IT Operations and Development. The aim of devops is to improve and change the relationship by promoting better collaboration and communication between the two units of business. In an organization, silos should be broken down where the business units are operated because the individual entities within the organization where information, processes and management are guarded. For those people working in IT operations and software development, there needs to be better collaboration and communication to serve the IT business needs of the enterprise. One solution to breaking down organization silos is to move towards a culture based on devops that partners operations staff with developers to make sure the enterprise achieves best possible running of software with very less problems. This is a culture that aids a willingness to share and work together. 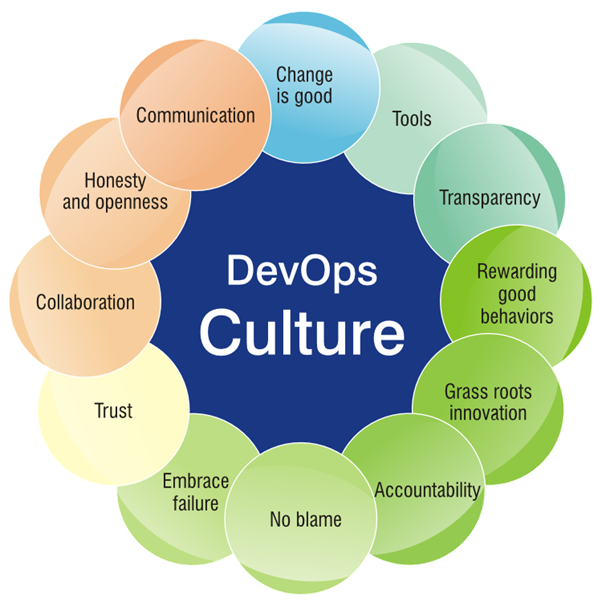 The culture of devops focuses on generating a stable and fast work flow through IT operations and development. The main aim of devops is to detect and solve the problems when they arise, without disturbing other services and move the features into production quickly. IT Operations and Dev Teams should go through Devops training to understand the Devops tools and implement devops principles in a effective manner. Devops is not based on strict processes and methodologies: it is based on professional principles that enable the business units break down the traditional silos and collaborate inside the enterprise. 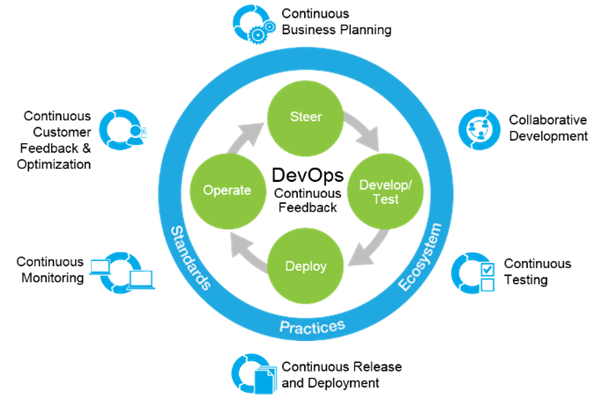 The guiding principles of devops include sharing, automation, measurement and culture. 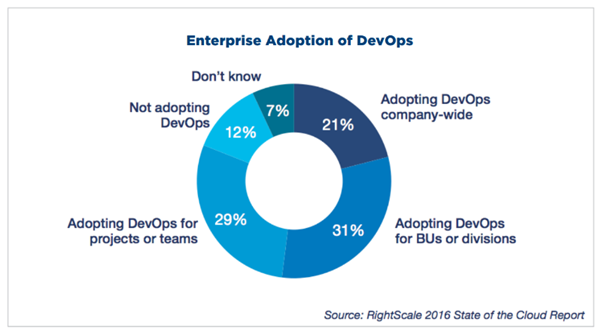 The emerging trend of businesses combining the associated processes and disciplines of IT operations and Agile development has resulted in a high demand for the tools fit for devops-devops tools suitable for scaling devops for use in the enterprise. Only a few agile development tools are flexible or sufficiently integrated to provide for the entire scope that devops needs. Usually, those ALM software solutions that can manage Agile hybrid methods of development are suitable for devops because of their high adaptability. As a result, some providers (with very less functional products) are cloudwashing (marketing the gimmick of rebranding) and rebranding. By sandwiching various tools with middleware and assigning a brand name to them as devops platforms or devops tools, these providers hope to fool the people who are unaware. Devops is also not only using a group of tools. The main reason that more frequently recognized definition of devops is required is that having different poorly structured and confusing definitions raises the risk that people will go blindly with the theory and implement the tools or processes of devops without keeping the principles in mind, which is certainly an antipattern. Automation is the use of power and insensible automation can do as much damage as sensible automation can provide advantage. Getting trained in devops enables you to perform operations successfully between the IT operations professionals and the developers. Operation flow and process will be improved by incorporating automation, integration, collaboration and communication. This training initiates a unique importance between operations team and developers to improve the speed and quality of output in providing the software or services. The average salary of a senior devops engineer in US is $146,000. Today, devops practitioners are amog the highest paid IT professionals with people in all the devops roles receiving a six figure salary. So, people looking for a bright career in devops should get Devops training as the process of securing a job will become easy for them. Previous Now You Can Tap into Someone’s iPhone Without Jailbreaking it—Here’s how!